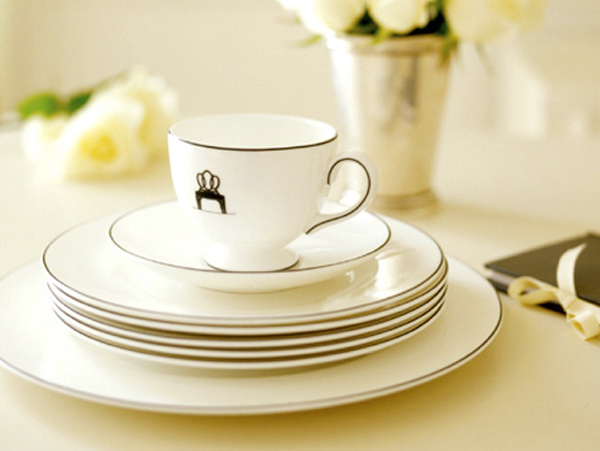 Jenifer has turned me onto Barbara Barry’s line of fine china for British china maker Wedgwood. Her design called “Musical Chairs” features white china with black trim and a graphic image of a chair. So simple and clean. The shot is just a preview of the to-be-released collection which will launch in Fall 2006. Lovely.